Man you're working like crazy on both your drawing and 3d modelling skills! Lots of great, new interesting designs are popping up as well! Keep it up! Thanks a lot bro. I want to make my own games an stuff so might as well learn the things needed to do so. Glad to here my design skill are getting better. Will do. Hopefully I don't disappoint. Looking great! you're getting better at rendering aswell. This looks a lot cleaner than your older stuff :). Oh boy, there's an art war 2? Man, i'm so slow xD. Need to check it out, i may try to participate this time. But hey i'm getting of topic. The character is looking really cool so far. Care to share some of her backstory or abilities? @Firathion Yeah man you should totally join artwar 2. Glad to hear my rendering is getting better. As the player progresses throughout the game, she'll have access to different elemental charge shots as well as the mega blast that you see at the top. Just like in rpg's and some action games, she'll have access to a double jump and super dash. I'm thinking that the weapon can transform if this was for an action rpg. In the older version she had a sword so I can probably bring that back. Other abilities i'm not sure of yet. 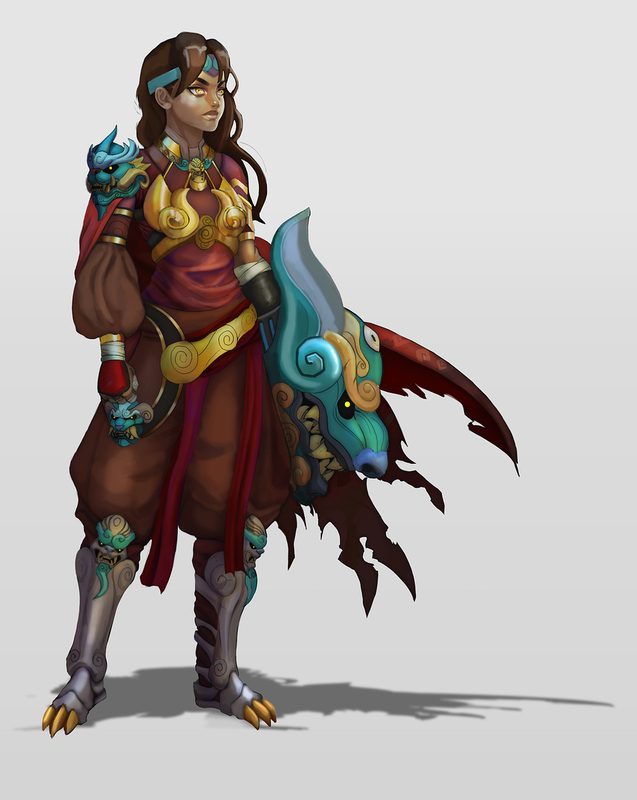 Similar to god of war, the other guardians in the other eastern regions betray the code of protecting the humans from the demons that want to take over and she steps up to help. Cliche but it helped a lot when developing the character as there were times where I was stuck. Still things to add like wear to the armor and more damage to the gold. She's been fighting all her life basically. So hopefully some design elements make more sense with the story. Hopefully that wasn't to long. Sounds great ;D. Japanese characters are always going to be awesome :P.
I won't lie tho, i was hoping for one or two dragon based attacks. The ulti maybe? I will finish this concept next year. I'll take a few days off artwar an power through it. I really love this character as well. It's been too long. I should've worked on this sooner but now I'm kinda bored with it. The process of this has gotten really hectic. I see a lot a problems that would be a hassle to fix. Don't want to sound lazy but I'm not sure if I'll continue this. @Firathion Sorry, I know you liked the idea a lot. I try to make something better for next time. Don't worry mate, i certainly know the feeling. The character looks awesome as is and she will always be one of my favs. Looking forward to seeing your next hero :). Thanks man. I will say I learned a lot so that's a plus. Hopefully I can one up this. Glad you still like it. Maybe at another time, I'll take a stab at it again. 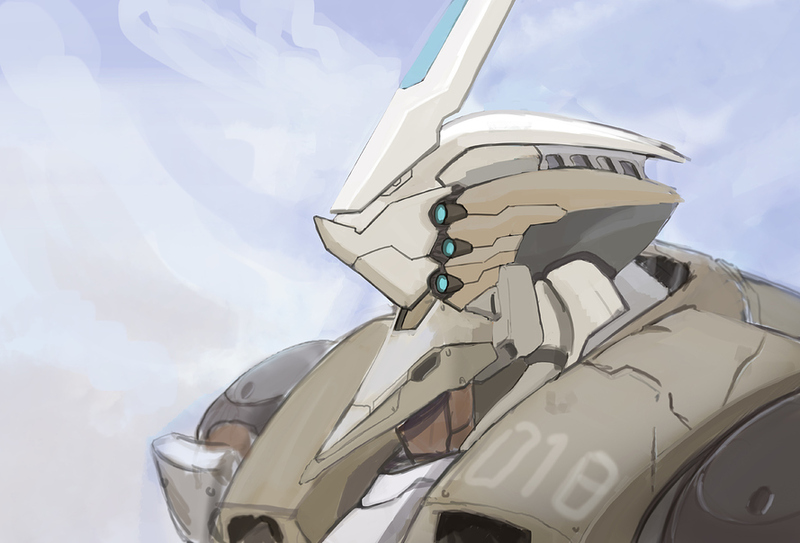 The design looks like it could be cool for Overwatch. Even if you're frustrated with it I can tell you learned a lot in the process of working on it. Yeah it was fun. I learned more about gold, folds and other things. So it was still a win at the end. Yoo the deisgn is awesome! Coming from someone that has no idea about mechs. But i really feel like you're improving. This is looking dope. Can you imagine him being a boss fight in overwatch? Oh boy O.o! Glad you like The overwatch studies among other things help. An overwatch boss would be awesome. I can already see a cinematic short where this is some mech/omnic that overwatch needs to take down. The game mode could be awesome. Looking good. Is that some Evangelion influence? I am also diving into mechs for the first time. It's gonna be a long road! You are correct. I really love the designs on the eva units. They have nice shapes. There's also some gundam and eureka 7 in there but less noticeable I think. I look forward to seeing your mechs as well. I can see you have made some impressive progresses !! !